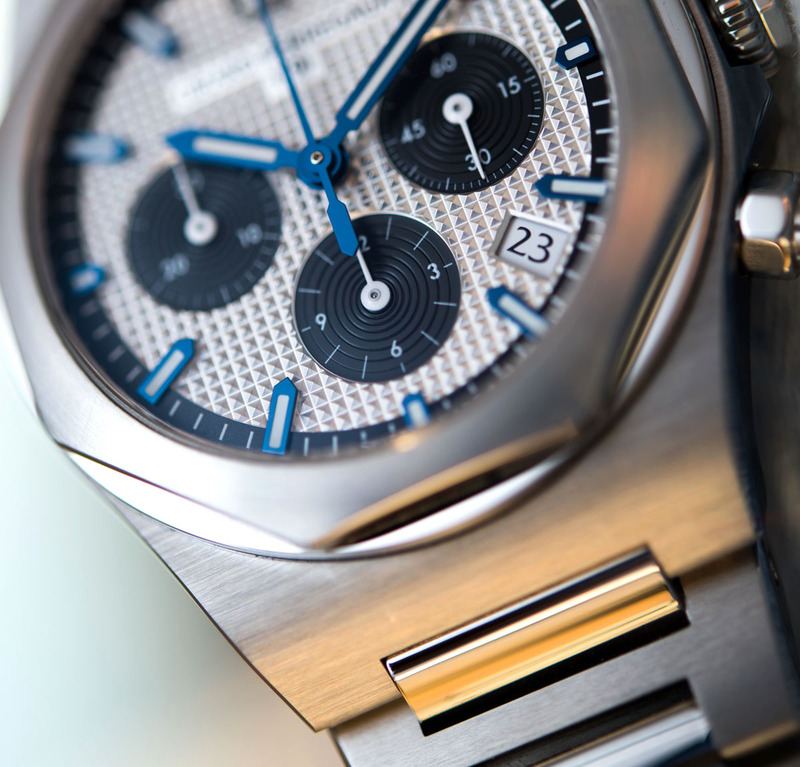 In different sizes and levels of complications, the Laureato has been around since its revival in 1996, but it is only since Girard-Perregaux‘s major updating of the collection in early 2016 that we see a notable uptick in focus, pricing aggressiveness, variety of design, and functionality in the Laureato line. 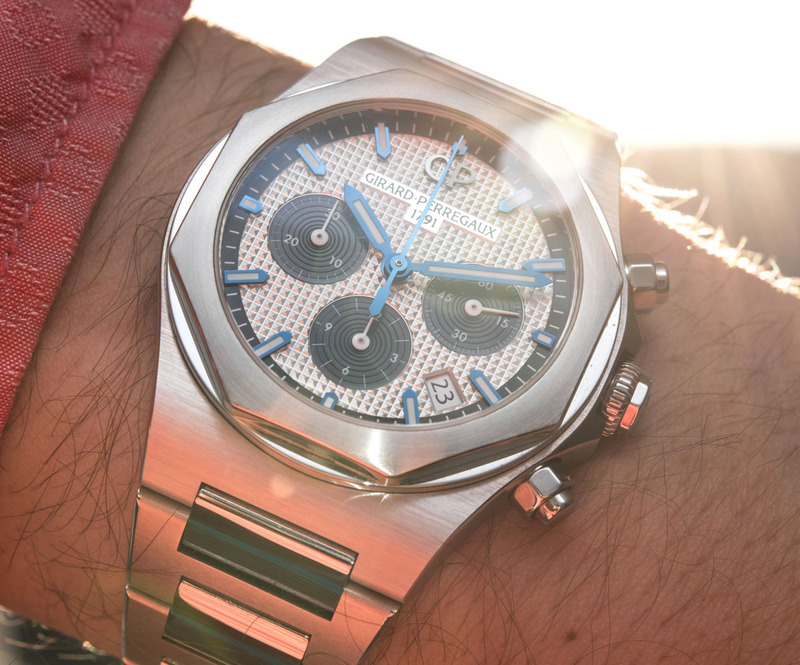 The subject of this review is the Girard-Perregaux Laureato Chronograph 38mm (reference 81040-11-131-11A as seen here), a member of the new-for-2018 line of smaller Laureato Chronographs, available in either 42 or, as seen here, 38mm wide. Bored with unnecessarily inflated watches, I specifically asked for a 38 to see how this smaller size worked in real life. While charmingly elegant, we have come a long way in design and execution since the original, 1975 Laureato. We have talked about the Laureato-looks many times (here for its launch 2016, here for its upgraded looks and downgraded pricing in early 2017, and here when it was first offered entirely clad in black ceramic). 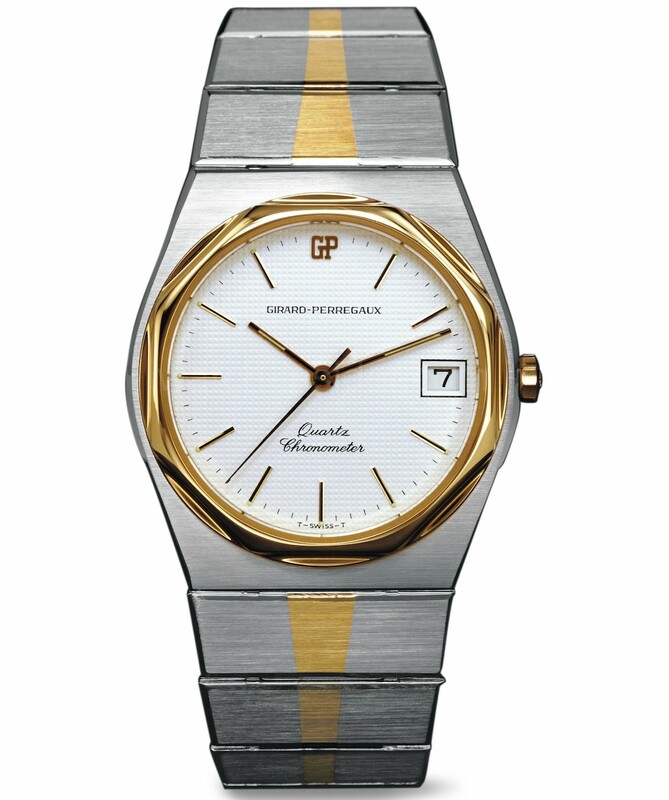 The first-ever Laureato is from 1975 and those who know their mathematics will know that 1975 came three years after 1972, and exactly a year before 1976. 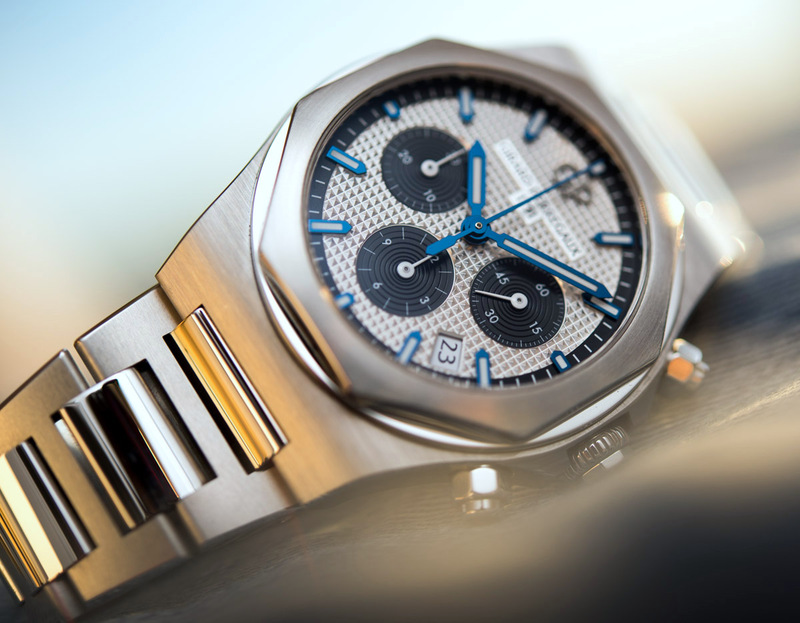 Now, those who know their watch trivia as well as their maths will also know, that the Laureato came 3 years after the original Royal Oak Jumbo, but a year before the Best-of-1976 hits like the Nautilus or the Ingenieur SL. My point is that we either mock everything for trying to get a slice from the Royal Oak cake, or, without denying that, we all take a more intelligent approach and embrace the fact that some 40 years have passed, brands have come and gone, and that all the aforementioned collections have had strong, as well as hysterically embarrassing chapters in their time. What should be a priority in our critical approach is what we have today, how well it looks, what it wants to tell about its wearer, and how complete of a package it is from movement through case and quality of execution all the way to pricing. First impression, for me at least, was along the lines of “Wow, that’s one small watch.” Sounds like a most eloquent piece of feedback from a “professional” watch blogger, I know. With its heavily tapered bracelet and considerably curved upper lug profile, as well as its moderately low heft for an all-steel watch, I found the new Laureato Chronograph 38mm unquestionably refreshing, as I’m detoxing from the large watch trend. Because I knew a watch’s size and weight matters on the wrist in the long run more than it does in the first minute, I left these issues for later and turned my attention to the dial, curious to see the quality of it. 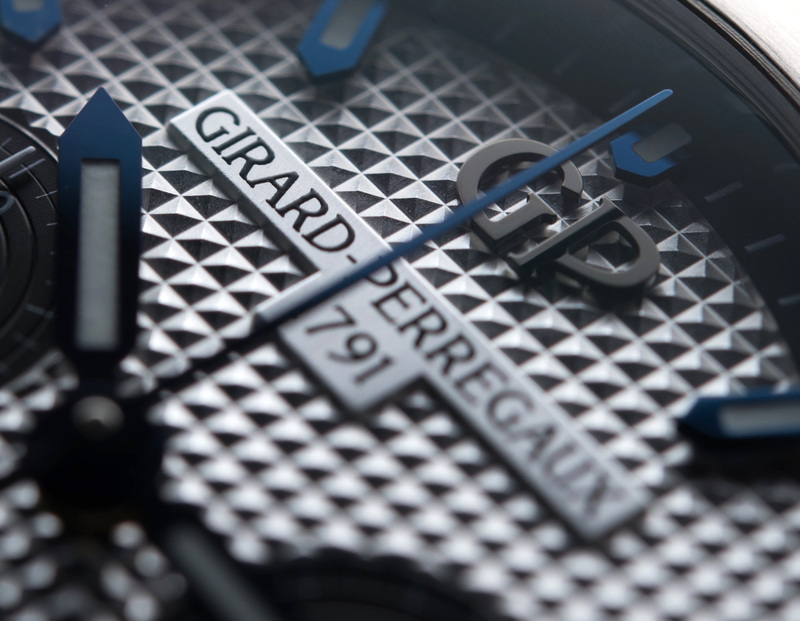 Unfortunately, I didn’t get to check these out at SIHH 2018 – I was at another meeting when the rest of the team was with GP. So, I grabbed my trusty loupe and dived right into it, to see the depth, colors, and quality of execution of the “Clou de Paris” hobnail dial. First impressions of this prominent design element were overall very positive – lots of depth and neat details, the way light plays on the hobnail “pyramids” is as impressive as only genuinely well-made dials can be. Next move was to wrap the 38mm version of the Laureato Chronograph around my wrist. I was expecting the smaller size to work well against my narrow wrist and work well it did. 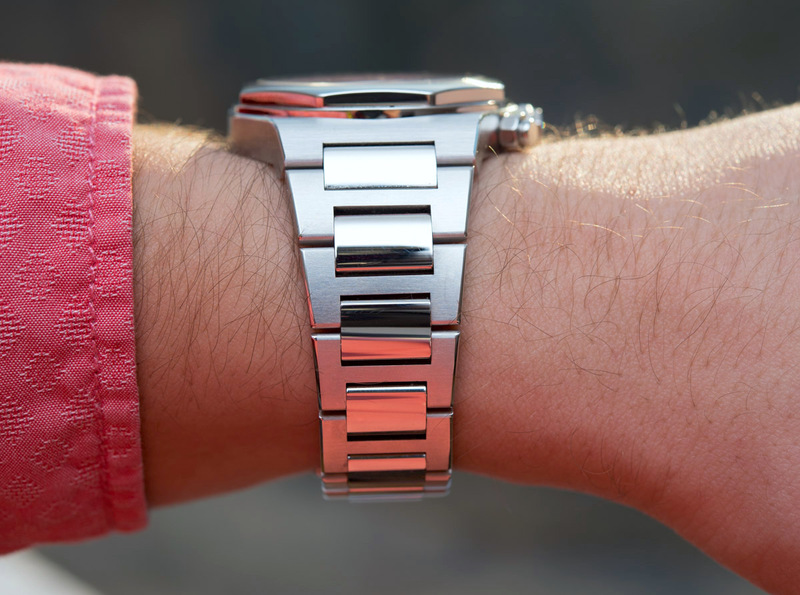 If you too have deficiencies in the wrist size department, you’ll understand how refreshing it was to see a watch end before the edges of my wrist. Plenty of detail in the case, bracelet, and dial was telling me it was a good idea to get one of these in to spend more time with and see how it fairs. As with most all things this (relatively) new and intricate, there are many strong, and some weak points as well that you have to see for yourself in the metal before you could judge. …and I couldn’t have been more wrong. 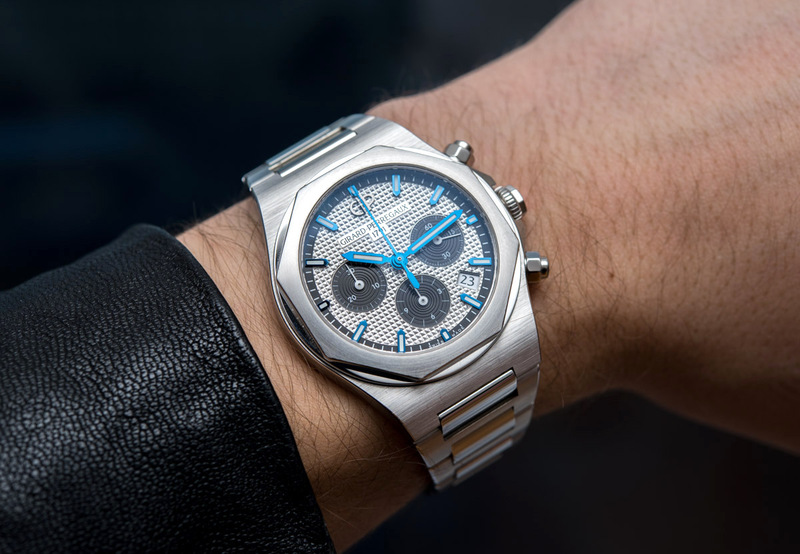 I should disclose that I have a weak spot for 38-39mm chronographs where things tend to look just right more easily – I was a fan of the 38mm El Primero Original 1969 (reviewed here) and I also believe the Royal Oak looks its finest in 39mm (and is a disaster in its inflated 41mm case). 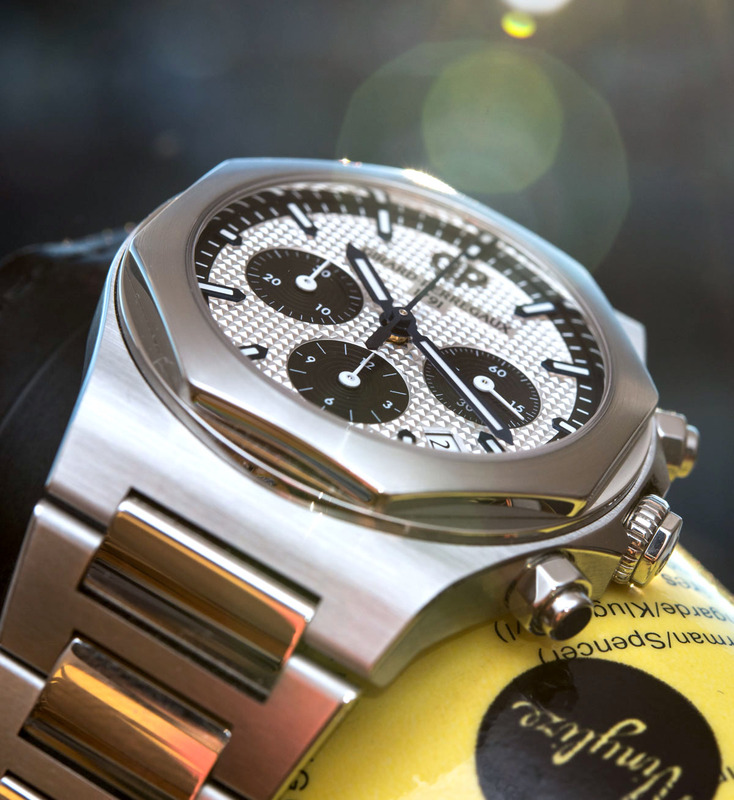 Now, in line with all that, I was sort of relieved to assess once in hand that the Laureato Chronograph 38mm has a lot of just right about it too. 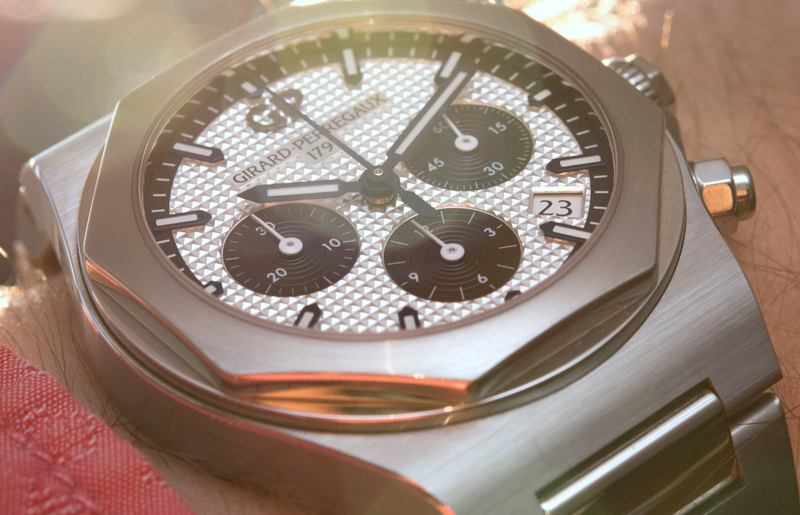 I haven’t seen the 42mm version of the Laureato Chronograph hands-on, so I won’t comment on that.